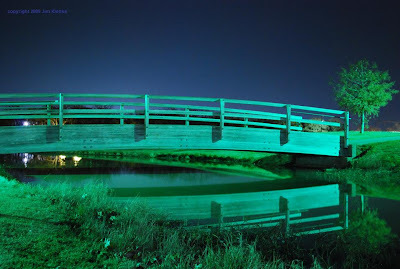 Another shot from the night time trip to Ben Gill Park in Terrell. No photo shop or alterations to the picture, just playing with the white balance setting. CNN sent out breaking news Saturday night to announce the Cowboys defeated the Saints. It was breaking because the Saints hopes to go undefeated had ended. But, the Cowboys winning in December also deserves breaking news status. This may come in handy for Nick Folk. I need a little bit of help tonight to advance to my Fantasy Football Final. Short week at work, in addition to having Christmas off, our employer has given Christmas Eve off. Christmas day will post #1000 for Terrell Daily Photo.